Every Android phone ships with the set of options that allows control over debugging and application development. These set of options are hidden by default. They can be really handy for those who wish to develop apps or choose to customize the setup. In this article, we discuss how to use developer options in Android. Android offers developer options for those who want to take more control over their device. There are plenty of small tweaks that can be made to the phone using these options. We'll see some of the common tasks that can be performed using developer options. Let's first see how to enable these developer options. Almost every Android phone has this option in a hidden mode. Depending on the type of ROM you use, the option may change it's settings location. However the instructions given here pretty much apply to all the phones and extended ROMs. 1. Tap into Settings Icon. 2. Find the link option that says "About Phone". 3. 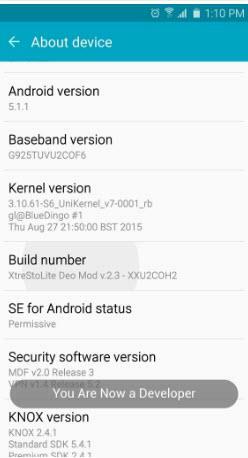 Scroll down to find the build number of the Android. 4. Start tapping into the build number options. 5. After 2 taps it'll popup the message - "You're one step away from being a developer". 6. Tap 3 more times and it'll pop up the message - "You're now a developer". Go back to the settings menu. Scroll down to see the Second last entry "Developer Options". In order to disable developer options, follow the instructions below. 1. Go to Settings icon. Tap the icon. 2. Go to Apps option. Tap into the icon. 3. Find the Clear Data option on the page of Apps info. 4. Click on Clear data button. By clearing the data from Apps info, your developer option will be disabled. Android app developers use this feature to view and test app from desktop directly to the smartphone. This option saves a lot of time that is required for testing the app on Virtual emulator. 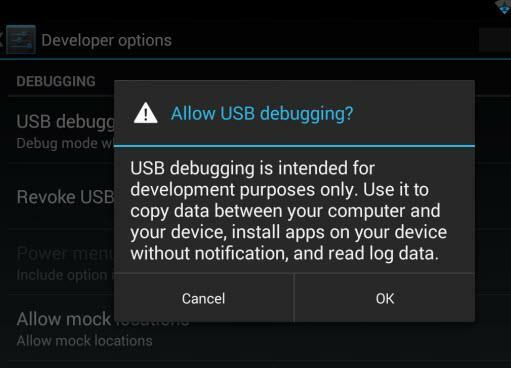 USB debugging also helps with ADB (Android debug bridge) and ADB commands. If you're low on RAM then using the smartphone directly is much better option. If you're into mobile testing then using USB debugging option can be really helpful. You can automate your user interface tests using developer options. These options help in automating the Selenium webdriver tests too. Most of the developers also use this for testing various app specific features. If you're a tester and wish to test your app before releasing then these options can be helpful to you. Some backup apps require you to enable developer options. This is because such apps take entire system backup which includes developer options. In order to manipulate system such apps require access to such options. 1. Verify apps over USB : This option is being used by developers while testing the apps. It is also used for verifying the security integrity before releasing the app. 2. Pointer location: This option comes in handy while testing the app response. 3. Window animation scale: This setting with low and high value sets the animation style. 4. Transition animation scale: This setting with low and high value sets the transition style. 5. Show CPU usage: This is to test how much CPU is being consumed by the device. 6. Force GPU rendering: This setting is for games and graphical apps for rendering purpose. Most of these options are purely useful for the developers who wish to test their apps and games. You may notice that there are some of the apps that require you to have Developer options enabled. These apps usually access the mouse data, battery data and other data that often requires root access. This is one reason why enabling developer option may lead to some corruption issues. So whenever you enable the developer options, make sure that you have taken the data backup of the device. A single setting in these options page is capable of affecting the device and leads to corruption. If you have no idea of things you're going to do with developer options, then it is better not to enable the option. There is no benefit from enabling developer options unless you wish to either test or extend the Android device for your specific purpose. Developer options can be really helpful for optimizing Android and making customization. However these set of options are not meant for all type of users. If you are curious to explore Android developer options then use the above information to learn more about your device.